John Glenn, the first human to orbit the Earth, once said, “there’s still no cure for the common birthday.” That may be true for some folks, but for most folks, there’s nothing common about their birthday. People want to live large and celebrate life on that special day. They want to do things they don’t usually do so they feel alive and free. One way to kick off a unique birthday celebration is to book one of our birthday limo packages. Our Modesto Limo Service is not one of the ordinary, run of the mill, limousine company in the Modesto area. We know you want the best when you celebrate, and that means starting the celebration before the candlelight dinner or before you break it down in your best wild party style at your favorite restaurant or bar. There’s a certain aura that surrounds our cool, but private, limousines. Our chauffeurs know how to set the mood, by being your personal assistant from point A to point B without hesitations or regrets. They know how to make your limo experience rock. The people who use our limos know our luxury rides come with an exclusive ticket to relax, have fun, and kick back. Our Modesto limo packages fill a void in the common limousine industry. We don’t mind going the extra mile to make any birthday celebration more than common. Common is not in our business model. When we talk about our limo packages, we like to say we are the party before the party starts. Some of our clients just want to ride around town in one of our decked-out Escalades, or they want to invite a few friends and party in a Camaro limousine with an experienced chauffeur and all the current bells and whistles. Those bells and whistles have a limo birthday party at day or a night to remember. It’s easy to talk about all the amenities we incorporate into our birthday packages, but we also can design a birthday limo package that suits your tastes. Our loyal clients use us because we know they want a limo service that doesn’t fit into a typical limousine service box. We like to be flexible as well as safe, and we do those things with panache, grace, and our own version of “limo chic.” Our version of limo chic is making a kid’s birthday limo ride, the experience of a lifetime, or making a sweet sixteen party a red-carpet event to remember. There is an entertainment element in our birthday limousine packages, and we do our best to make sure it fits the occasion. Legacy Limousine Service is more than the sum of its parts. In other words, we take the hassle out of special events, and we help remove the anxiety that runs through wedding planning and surprise birthday parties. 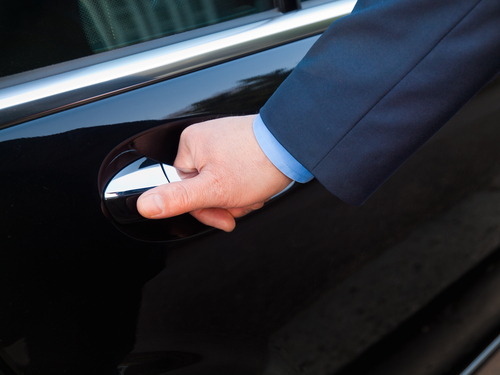 Our clients use words like professional, dependable, efficient, and punctual to describe our chauffeurs and our services. Our limos are comfortable, luxurious, roomy, contemporary, and safe. Safety is our main concern at Legacy. We may sound too good to be true. But you be the judge when you plan your next birthday party for someone special. We service all these areas, including surrounding cities.